The Home and Farm have been passed down through 8 generations of the Miller family. In 1827, John Miller Sr. purchased the land from Francis Thornton and built a modest family home with his son, “Poplar John”. The simple rectangular structure was built from bricks fired on the bank of the Thornton River and trees harvested from nearby Turkey Mountain. Sixty years later, John Byron made substantial additions including the present day Owner’s Suite, Queen’s Room, and sitting porches. The early Millers were successful dairy farmers and apple growers. By the early 1900s, the herd of dairy cows had grown large enough to justify the construction of the Dairy Barn. At 235 feet long, John Clifford Sr.’s barn is a marvel of engineering and one of the largest wooden barns of its era still standing in America today. 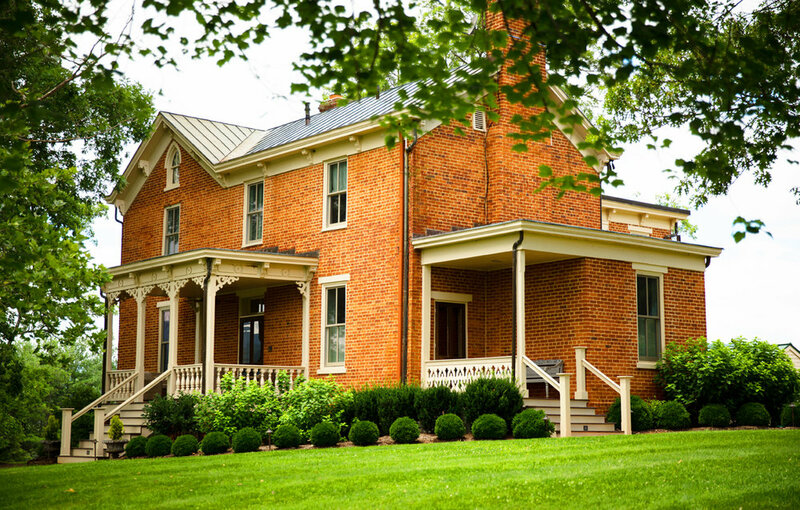 In 2010, Cliffs III and IV teamed up to renovate the old family home and open the Inn. Today's farm owners emphasize habitat and soil conservation and have placed 604 acres of the farm in a Virginia Conservation easement. The current owners of Mount Vernon Farm are focused on preserving and improving the land. The farm employs best management practices to protect the watershed and soils. In 2012, the Mount Vernon Farm was awarded the Rappahannock River Basin Grand Award, one of many other recognitions it has received for sustainable farming and conservation. The farm includes 840 acres of rolling hills filled with warm and cool season grasses, orchards, forests, and meadows teeming with wildlife.